Experience economical, practical and professionally managed homes equipped with basic standardized amenities and facilities. 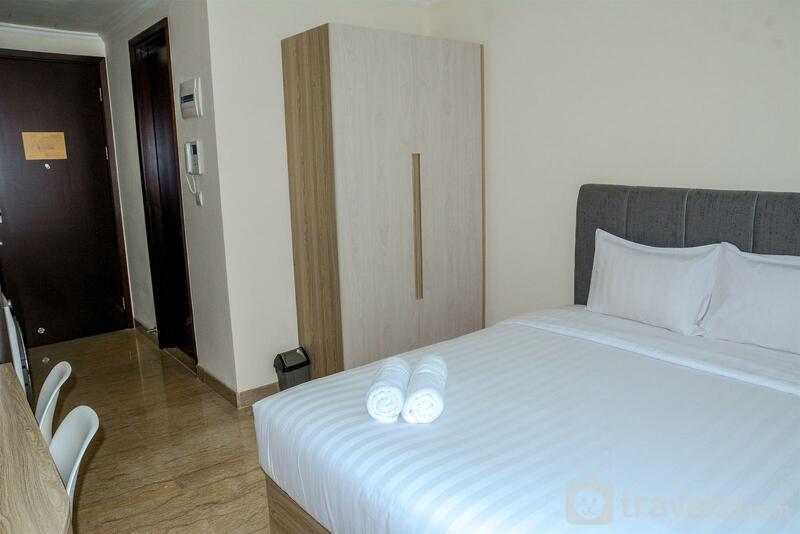 A great choice for budget leisure and domestic business travelers looking for a simple, yet comforting stay. 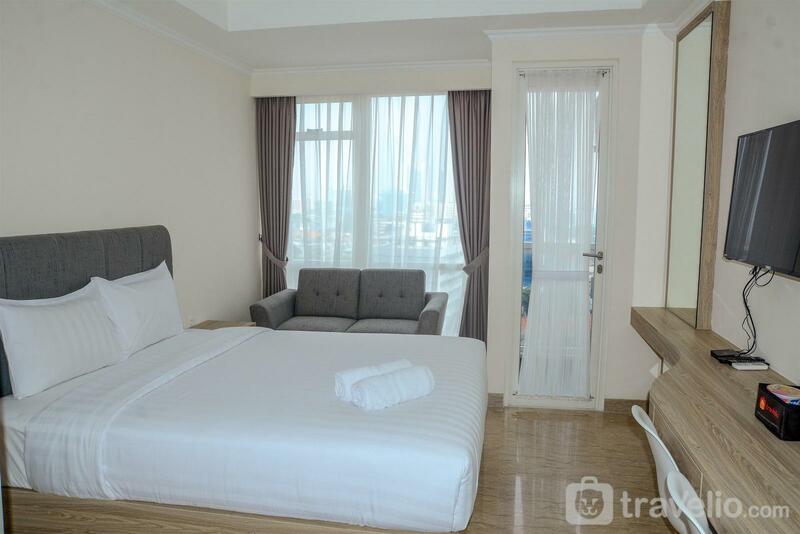 Average room rate below Rp 499,999 per night. 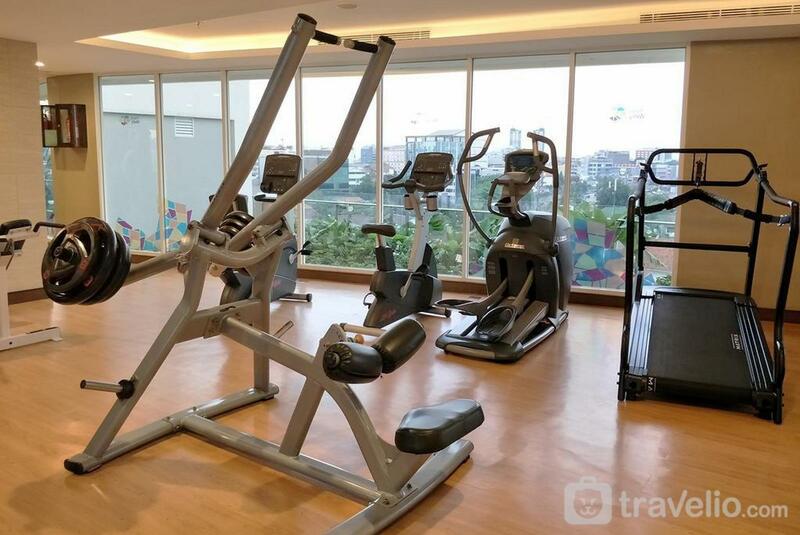 This apartment building is located strategically at center of Jakarta that will ease your mobility in doing daily activities. Modern and minimalist vibes are really felt in the moment you enter the apartment room, bright color on design interior and application of modern furniture give elegant and clean atmosphere in this room. 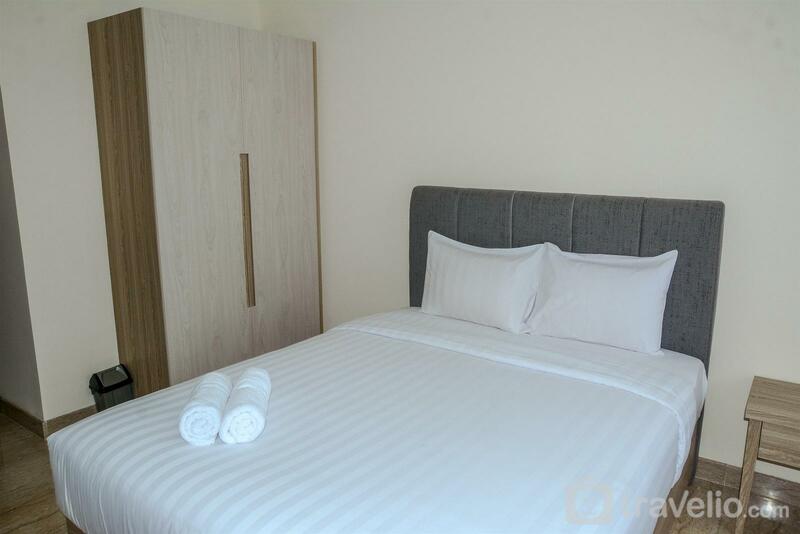 A queen mattress is provided with star-hotel quality linen that could be used to take a rest. 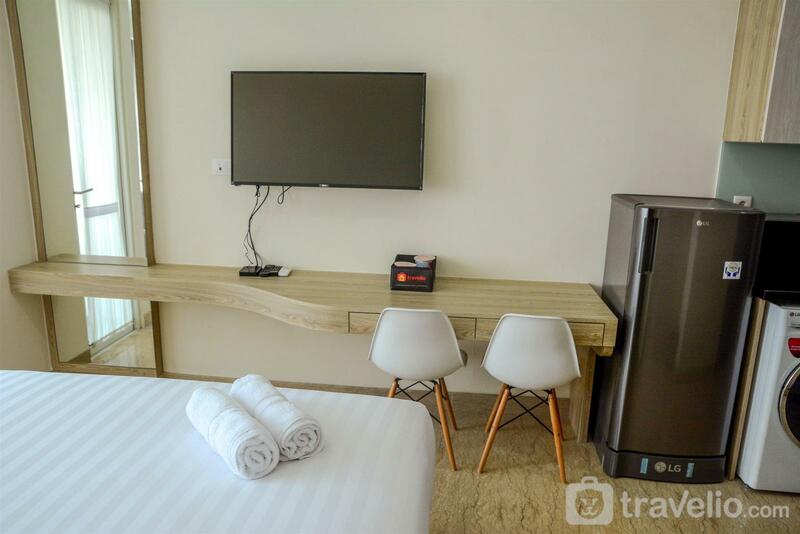 There are also TV set and sofa to accompany your leisure time by watching movie. 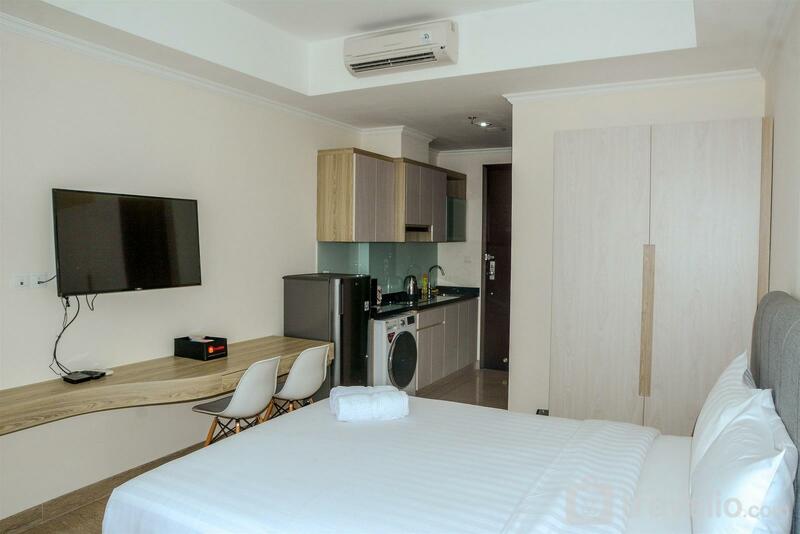 Air conditioner is also provided that make the room to be cool and cozy. 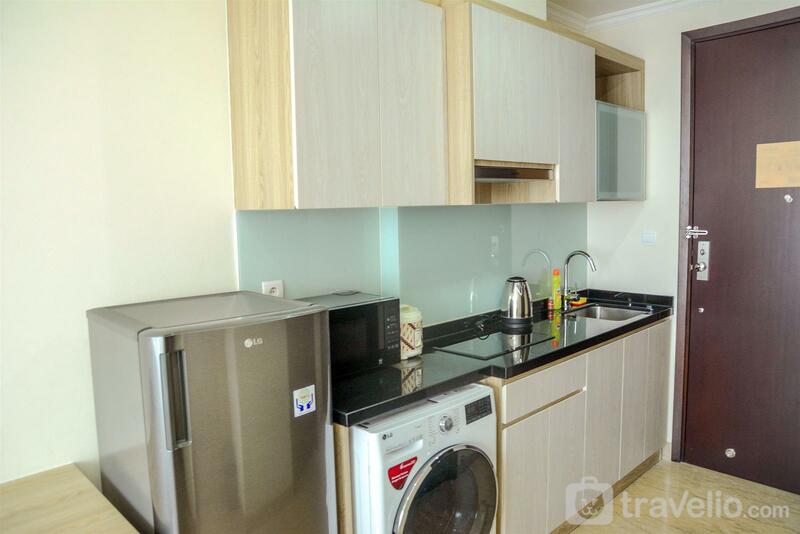 Move to kitchen which is equipped with electric stove, electric kettle, rice cooker, microwave, refrigerator, dining and cooking utensils. 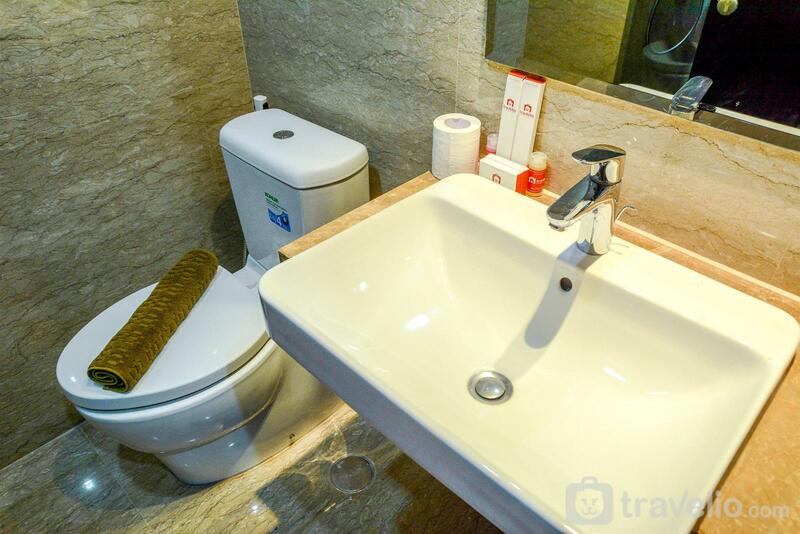 Meanwhile one bathroom is provided with shower, water heater, and other toiletries. 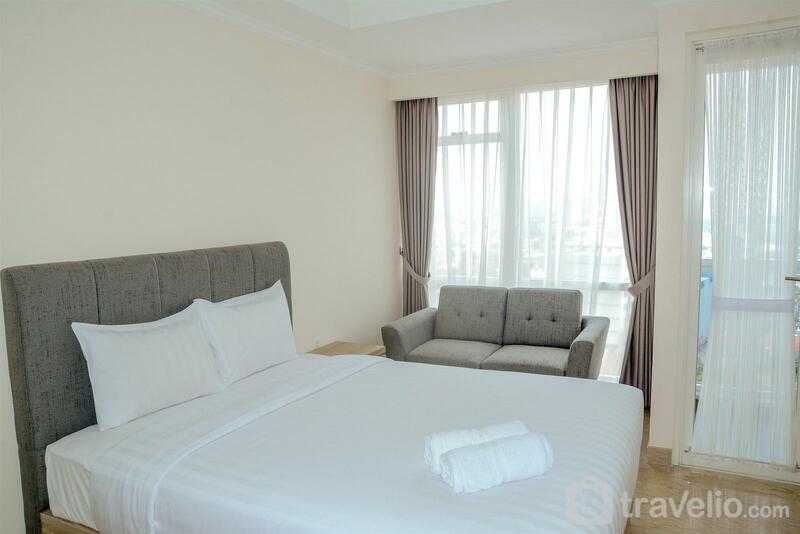 Elegant Studio Apartment @ Menteng Park By Travelio is available for daily, weekly, and monthly rental. Soekarno-Hatta International Airport could be reached by driving for 40 minutes (27.4 km); Cikini Station could be accessed by driving for 5 minutes (1.4 km); Transjakarta Bus Shelter Kramat Sentiong NU is also accessible by walking for 9 minutes (750 m); Jakarta Institute of Arts could be reached by walking for two minutes (150 m); Gunadarma University A is only 7 minutes driving (1.4 km); PGI Cikini Hospital could be reached by walking for 4 minutes (350 m). Taman Ismail Marzuki which includes of movie theater, theater, and planetarium could be accessed by walking for 5 minutes (400 m); Menteng Huis is only 4 minutes driving (1.0 km); Grand Indonesia, and Plaza Indonesia are only 30 minutes driving (5.8 km). Other recreational places such as National Museum and National Monument are 10 minutes driving (2.6 km); Kebangkitan Nasional Museum could be reached by driving for 8 minutes (2.8 km); and Sumpah Pemuda Museum is only 4 minutes driving (1.0 km). 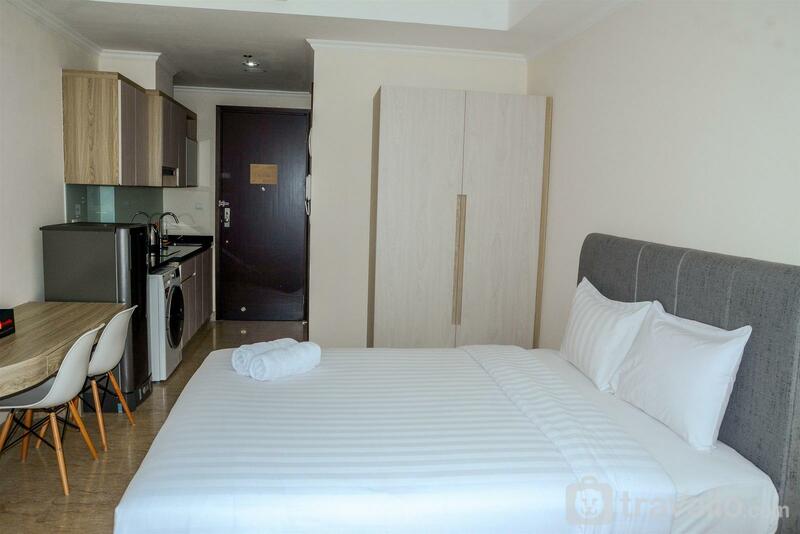 This studio apartment provides a queen-sized bed equipped with star-hotel quality linen. 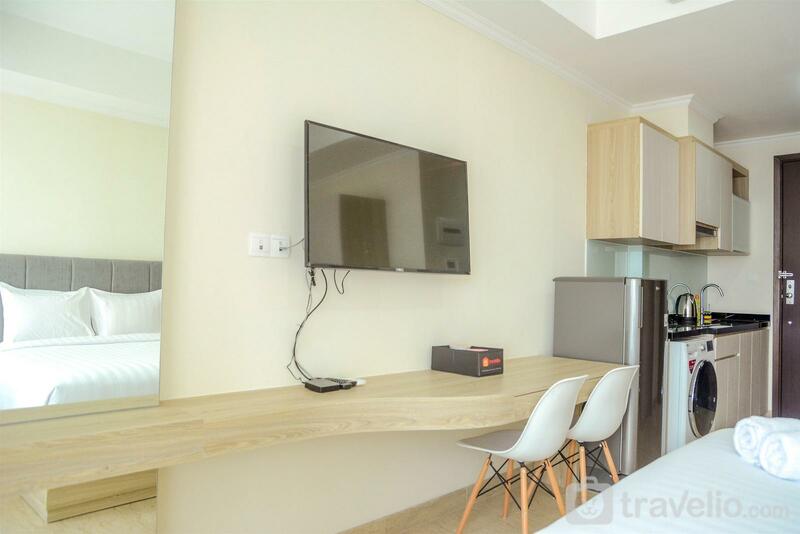 Sofa and TV set are also available in this apartment unit. 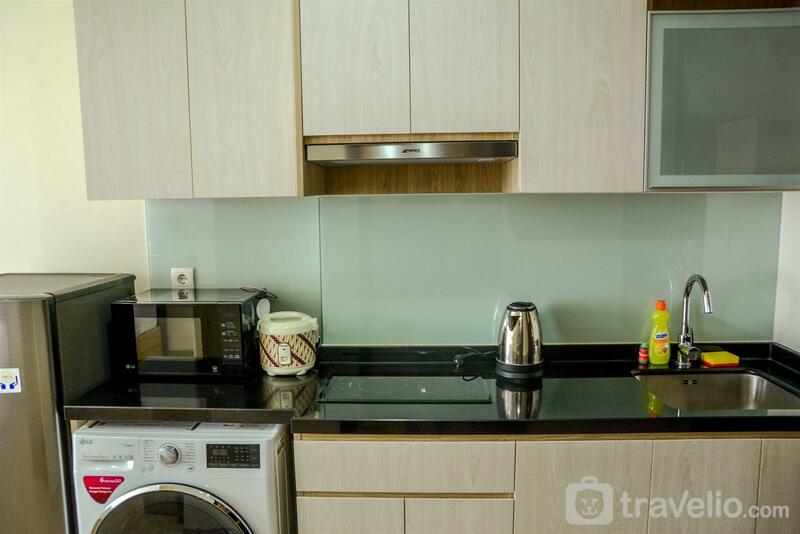 Kitchen is already equipped with electric stove, electric kettle, refrigerator, rice cooker, microwave, cooking and dining utensils. 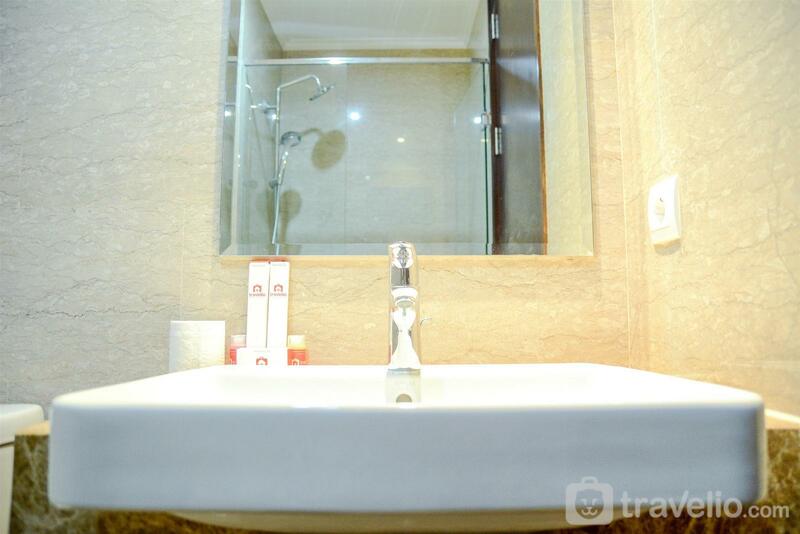 One bathroom is furnished with shower, water heater, and other bathroom amenities. 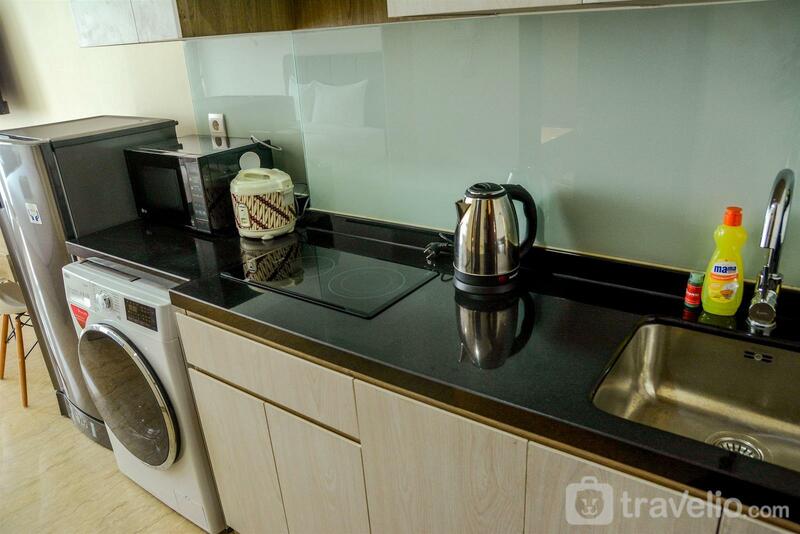 There is also a washing machine that could be used in this apartment unit. 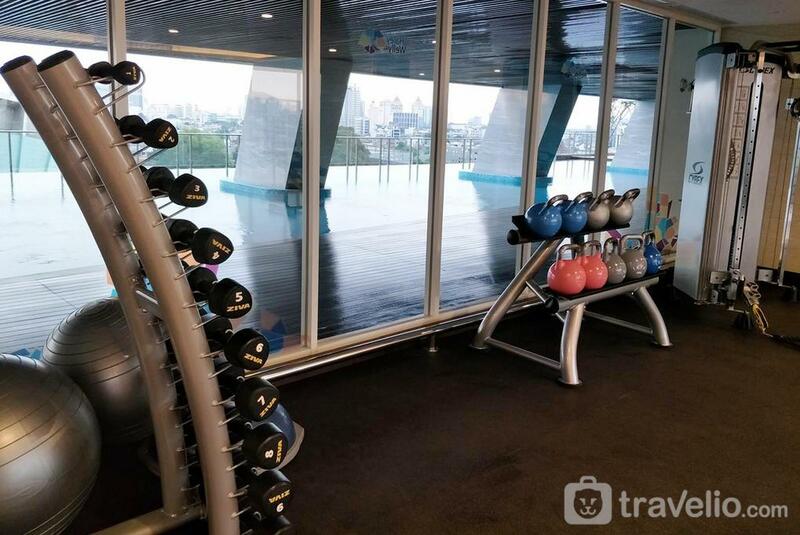 Several building facilities could be accessed such as swimming pool, gym, and playground. Free WIFI access is also available in this apartment unit. Snacks and drinks are provided once you check-in. 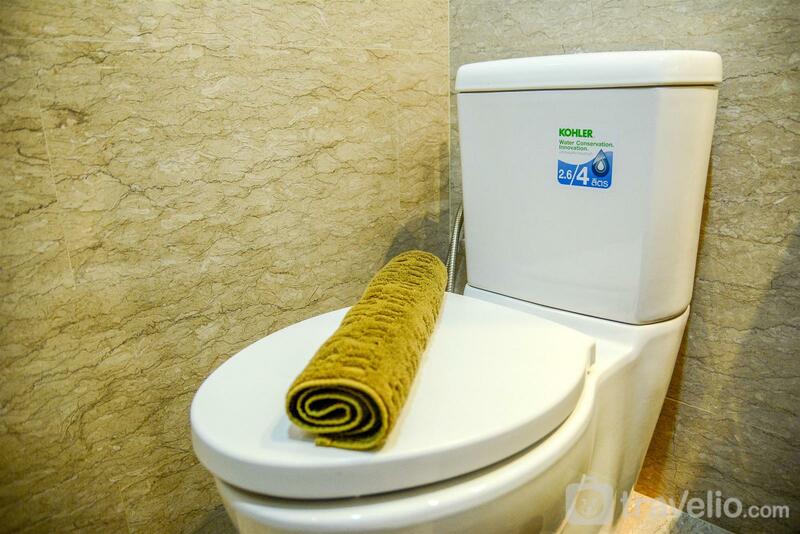 We provide linen with star-hotel quality.